In 2013, noted utility and energy expert Peter Kind authored the Disruptive Challenges report for the Edison Electric Institute, urging electric utilities to increase the mandatory monthly fees charged to customers to address a perceived looming crisis in the utility business model. Utilities were quick to act, and have been proposing substantial mandatory fee increases for their customers across the country ever since. This has generated a maelstrom of controversy and opposition among consumer, clean energy, efficiency advocates and others. 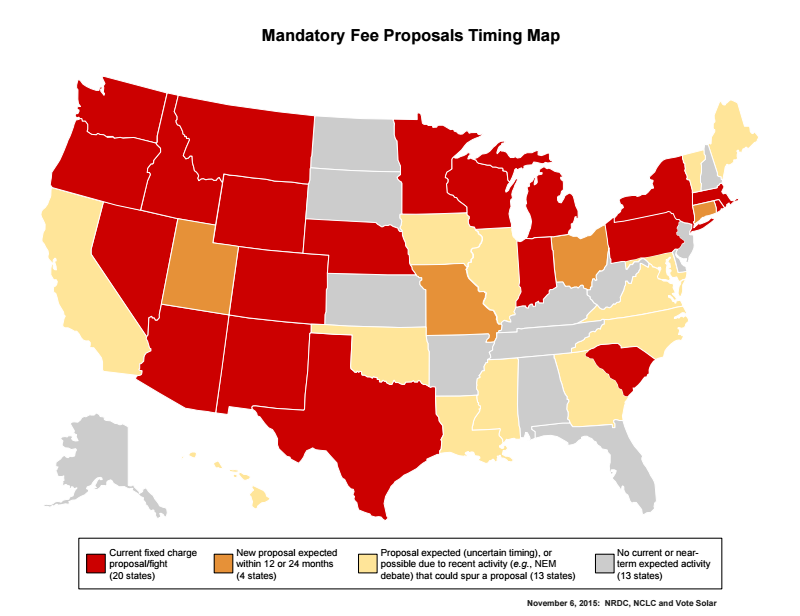 Kind’s course correction comes at a time when opposition to increased mandatory fixed charge proposals across the country is growing and strengthening across numerous stakeholders engaged with the electric utility sector. This page is meant to serve as a clearinghouse for relevant information that journalists, policymakers, regulators, advocates and other interested parties can access to stay abreast of developments on this issue. AARP blog: A Higher Utility Bill Before You Even Turn On the Lights?